Back to the roots of the brand, with a bold technical look! 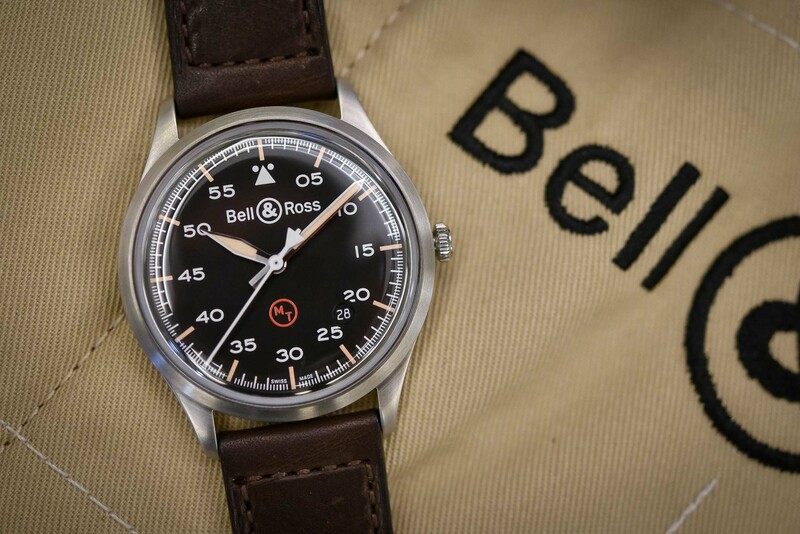 When you think Bell & Ross, the concepts of “military-inspiration”, “pilot’s watch” and “round-within-a-square-case” immediately spring to mind. 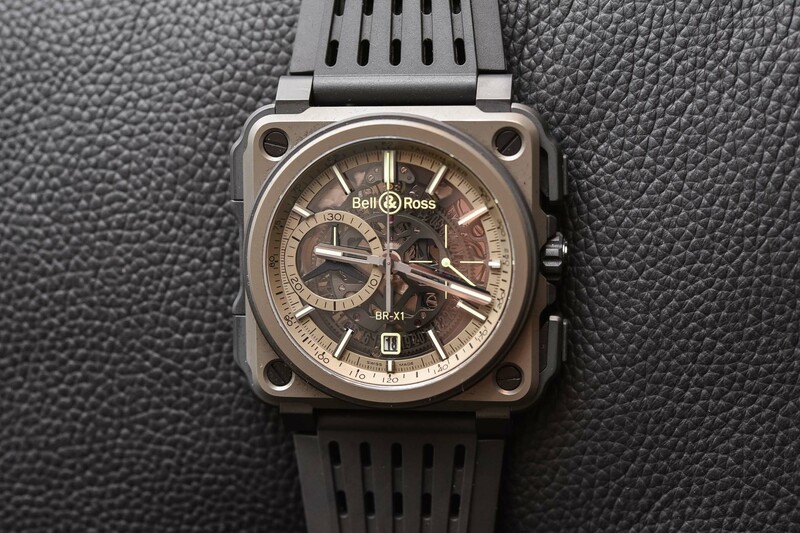 So, with its squared case and round bezel, its chronograph, its military-coloured lightweight and robust material inspired by stealth fighter planes and an overall functional design, it seems that the new Bell & Ross BR-X1 Military ticks all the boxes, right? (Spoiler alert: it does, and it even adds the cool technical look of the Experimental collection). 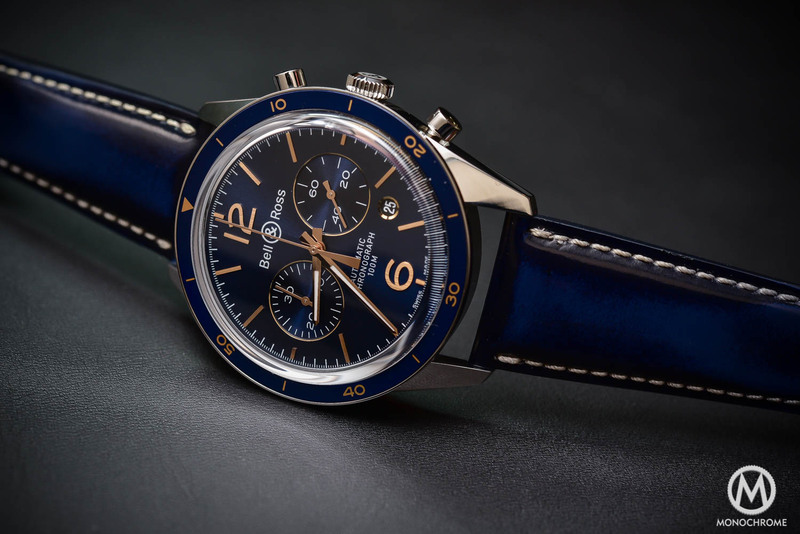 When it was launched a few years ago – in 2014 to be precise, with this inaugural model – the BR-X1 heralded a new collection for Bell & Ross named “Experimental”. Under this name were slightly different watches, with more technical content (openworked chronographs, forged carbon or ceramic, tourbillons, sapphire cases, ultra-thin micro-rotor movements) and bolder designs, sometimes far from the original military inspiration. 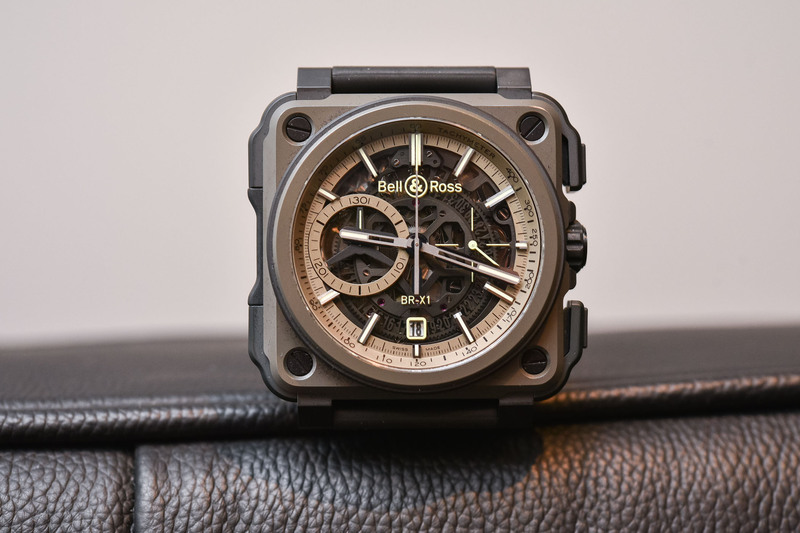 Indeed, we’ve seen how Bell & Ross ventured beyond the world of pilot and field watches to explore the terrain of racing cars and even Haute Horlogerie. 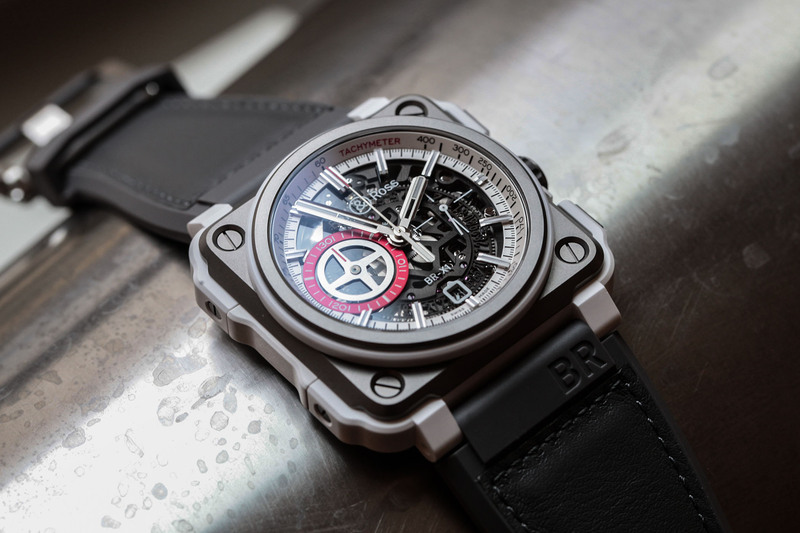 With the Bell & Ross BR-X1 Military, we might have the missing link, the watch that reconnects the Experimental collection to the roots of the brand: military-inspired, tool-oriented, stealth-looking but not without the signature elements of this high-end collection. As indicated by its name, this new “Military” piece is based on the well-known BR-X1 watch, meaning a bold, technical, modular (allowing for various different looks) openworked, automatic chronograph. 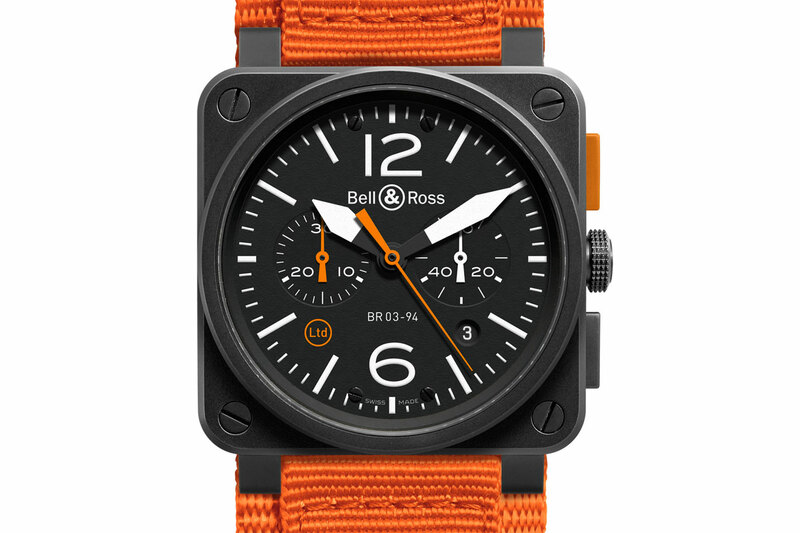 Overall, the new Military version remains faithful to the original concept but adds new materials and new colours that perfectly blend into the “field” concept behind Bell & Ross. 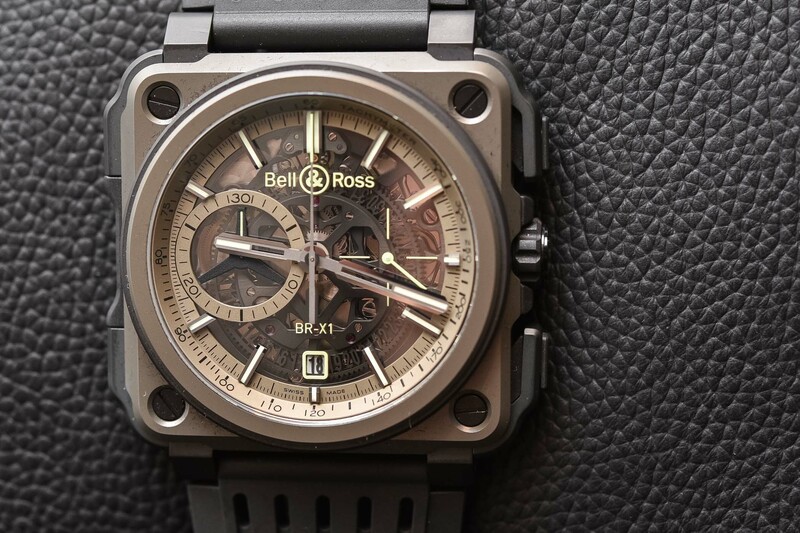 The major update on this Bell & Ross BR-X1 Military is the case. Similar in construction – square central module with round bezel, protective “bumper” all around in ceramic and rubber – and in dimensions – a hefty 45mm x 45mm – the new piece introduces a novel material named HRT, for High Resistance Titanium. With its roots in the military and aerospace industries, Bell & Ross relies on this lightweight and ultra-resilient material for its BR-X1. This material is obtained using a new process which alters the titanium, making it even more hard-wearing and giving it this signature khaki colour – the military green colour is not coated but is part of the material and won’t be altered by scratches. Thanks to this coloured titanium and its inherent lightness and robustness, the military look is fully present – making this BR-X1 Military very Bell & Ross indeed. 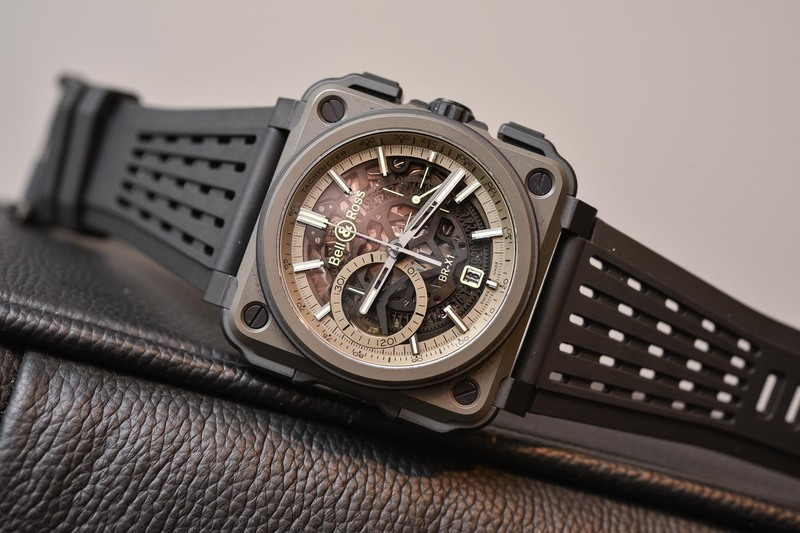 The titanium central part is, as usual with the X1, surrounded by protective parts in black ceramic and rubber, as well as integrated rocker push buttons for the chronograph. 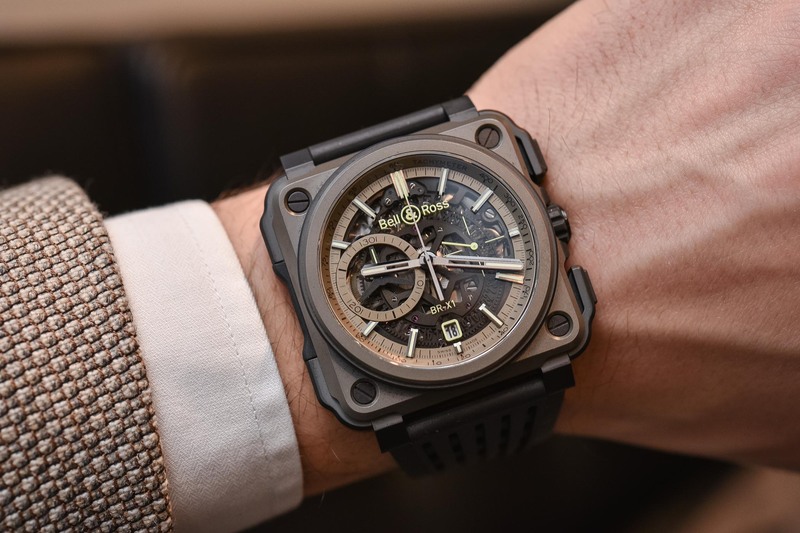 On the wrist, no surprises, the watch is large, massive and far from stealth, but it remains comfortable and comes with a perforated rubber strap. But be aware: it is a statement piece. As for the dial of the Rocker Bell & Ross BR-X1 Military, the armed forces theme is also present. The hands, the internal flange and the sub-dial rings are coated in a light khaki colour matching the case. All the indications are easily read over the tinted sapphire crystal dial, with SuperLumiNova for good night-time legibility. Underneath the translucent dial, the movement is partially revealed, with its signature X-shaped upper bridge in black DLC and a skeletonized date ring. Finally, a tachymeter scale – useful for speed calculations – is printed on the inner flange. Underneath the High Resistance Titanium caseback, with a small sapphire aperture revealing the sweeping balance wheel, is a well-known automatic movement, dubbed BR-CAL.313. Based on the ETA 2892 and with an openworked Dubois-Depraz chronograph module on top, this 30-minute chronograph movement ticks at 4Hz and boasts a 42h power reserve. 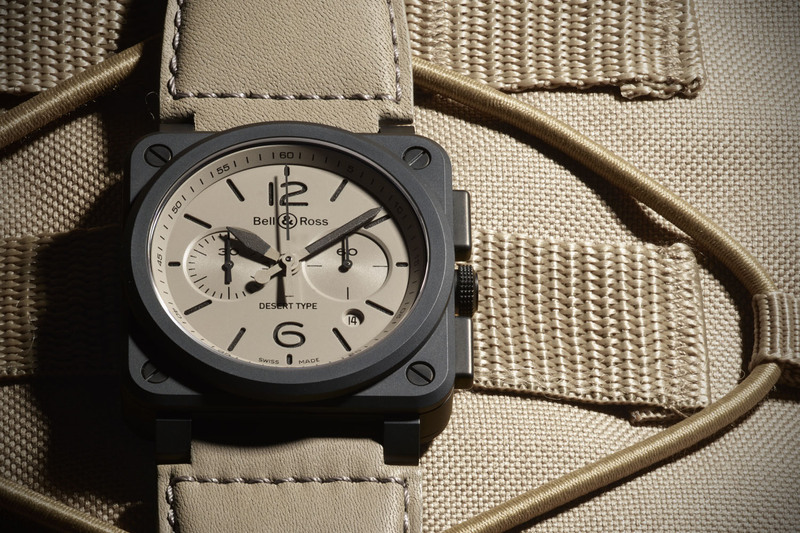 The Bell & Ross BR-X1 Military is a limited edition of 250 pieces, now available at selected retailers and on the Bell & Ross website. It will be priced at EUR 19,700 or USD 23,000. More details: www.bellross.com. That’s one of the smallest date apertures I’ve ever barely seen. Date window placement aside, I quite like the way it looks, especially in those colors. Paying that much money for a ETA 2892 movement though…. Whats worse; the single biggest benefit of ETA movements – the ability to get them serviced anywhere – has probably been negated by that Dubious-whatever module they added, so not only would you be overpaying for the watch, but the servicing as well. I imagine anyone who has ever been in an armed conflict would laugh themselves silly at this…creation. I do find many B&R pieces quite attractive, although I would almost certainly never buy one due to their insulting prices. This hamfisted effort is for people who can’t afford a Bvlgari. Silly design, silly price, silly marketing. A watch for silly people. Can you imagine anyone in the actual military service wearing one of these creations?